#OTBAM is live from 7:45am! It's to be a football-heavy show this morning as #OTBAM looks ahead to the return of Champions League football. After Kevin Kilbane shared his thoughts yesterday morning on what he expects of tonight's major tie, Daniel Harris and Philippe Auclair will join Ger Gilroy & Eoin Sheahan on the line this morning to talk Manchester United vs Paris St Germain. Forced to navigate a selection of untimely injuries, how will Thomas Tuchel manoeuvre the French champions through a tricky tie at Old Trafford? After enjoying a spectacular start to life as caretaker manager of United, can Ole Gunnar Solskjaer lay down a serious claim for the job on a full-time basis with a win tonight? Crossing the football spectrum somewhat, Eoin sat down with two Liverpool players of old yesterday afternoon. You'll be able to see what Ian Rush and Jason McAteer make of their former club's title challenge a little after 8:00am. We'll also speak to Travis Tygart, chief executive of the United States Anti-Doping Agency (USADA), about everything from Lance to Landis shortly after 9:00am this morning. Darren Cleary will join the lads in studio for a run through the morning's other sports news shortly after 8:30am. 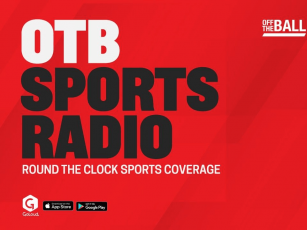 For all of that and a whole lot more, do tune in to #OTBAM from 7:45am on Twitter, YouTube, Facebook or via OfftheBall.com.